Australia is an exotic country in Oceania. This island nation is home to more than 23 million residents and is known for its coastal cities and an unspoiled interior. Australia offers you glamorous city life and breath-taking nature. Top attractions include Sydney Harbour, the Australian War Memorial in Canberra and the Kings Park and Botanic Garden in Perth. Get ready for an amazing holiday experience in Oceania, because cheap flights to Australia are now available for a limited time! Australia’s hub airport is Sydney Airport (SYD), a 20-minute drive or a swift 10-minute train ride from Sydney’s city centre. SYD serves a multitude of airlines, including Qantas, Virgin Australia and Emirates. 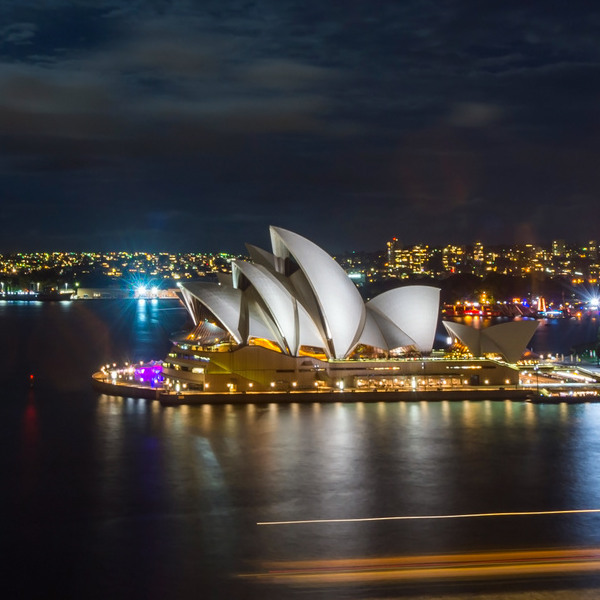 Non-stop flights to Sydney are available from Johannesburg, with connecting flights from Cape Town. Flight duration from Johannesburg to Sydney is approximately 11 hours, 45 minutes. 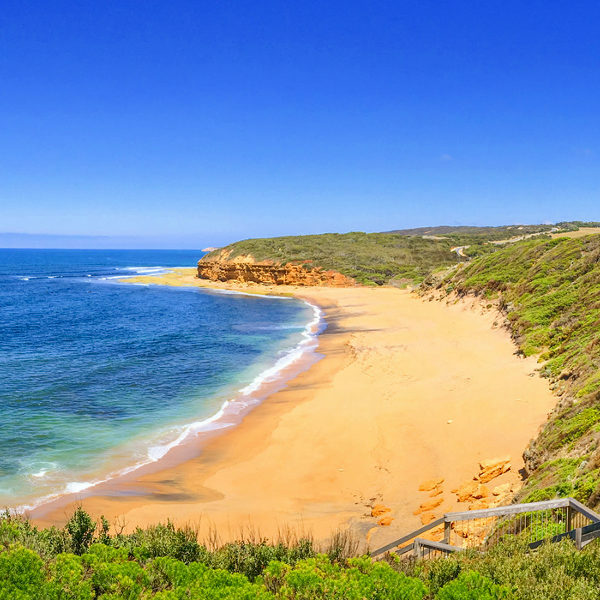 An island nation like Australia is sure to include scenic beaches and this country does not disappoint! The country’s many coastal attractions include Whitehaven Beach, Surfer’s Paradise Beach and Manly Beach. 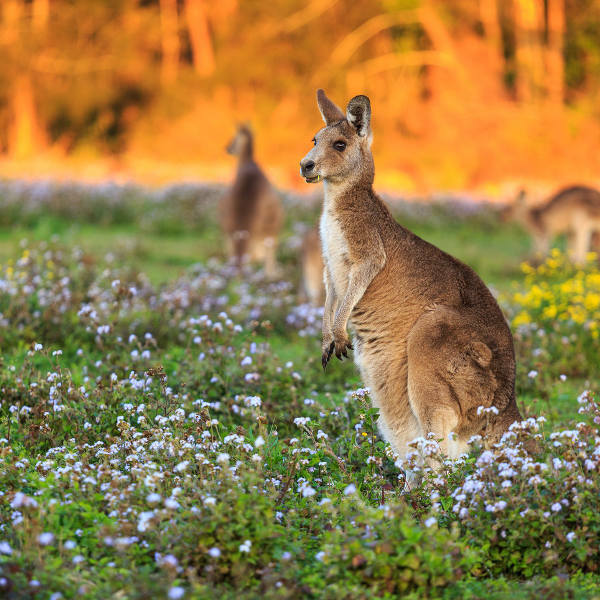 Australia boasts a stunning variety of cute, interesting and exotic animals. Some you may want to meet while you’ll be content to watch others from afar, including kangaroos, black swans, crocodiles and snakes. Australia has produced world famous architects and designers who have created some of the most memorable structures in history, such as the Sydney Opera House and AAMI Park in Melbourne. Low season in Australia sits between mid-April and late June (late autumn/early winter). Temperatures are cooling down from the summer (December – February) during this period, with high rainfall, except in Canberra and Melbourne, which enjoy low rainfall throughout the year. Annual events and festivals that take place during this period include the National Folk Festival in Canberra (April) and writers’ festivals in Sydney, Melbourne and the Northern Territory (May). While this period will offer you the lowest accommodation rates and the cheapest flights, consider visiting during March (early autumn) and between September and November (spring). These shoulder seasons will offer you reasonable accommodation rates, while you will find most of the cities of Australia free from the high volume of tourists from the peak season. An added bonus is the warm weather. In Sydney and Brisbane, rainfall is still high during March, but there is a drop between September and November. A visit during these months will give you the opportunity to enjoy exciting events, such as the Adelaide Festival of Arts (March), Ten Days on the Island in Tasmania (March), and the Brisbane Festival (September). Australia provides an exceptional holiday opportunity. Its modern and alluring coastal cities invite you to enjoy accommodation in style, while its rugged centre will inspire your adventurous spirit. The scenic capital, Canberra, is situated inland from the coast, and is home to many national museums, galleries and institutions, such as the National Museum of Australia, the National Portrait Gallery and Questacon. Its beautiful streets will be a joy to explore, with many bordered by lush gardens, including the Australian National Botanic Gardens, Commonwealth Park and Mount Pleasant Nature Reserve. Sydney, easily Australia’s most popular and its largest city, is a stunning tourist destination to behold. The first sights to greet you as you lay eyes on this metropolis include the Sydney Opera House, an exceptional architectural achievement, and the magnificent Sydney Harbour Bridge. Besides its gorgeous facade, the city includes a vibrant arts and entertainment scene; make sure to catch a wonderful performance at the Opera House! Melbourne, also offers a rich arts movement, and is where Australian film and television began. Be entertained at the Regent Theatre, admire the original creations at the National Gallery of Victoria and explore the historic sites, such as Old Melbourne Gaol and The Johnston Collection. Perth draws many visitors with its natural and material wealth. Its most eye-catching attraction is the King’s Park and Botanic Garden, a huge 1,000-acre park, home to a diverse selection of native plants and birds. Its best highlights include the tranquil Place of Reflection, an acacia garden and the scenic water garden. Perth additionally offers a wealth of stunning beaches, such as Port Beach, Rockingham Beach and the pine-flanked Cottesloe. Compare several airlines and book your cheap flights to Australia online at Travelstart! South Africans require a visa to enter Australia. Processing can take plenty of time, so make sure you plan accordingly to receive your visa before your departure date. Your passport must have a validity of six months after your return date and have two blank pages available for stamps. The South African High Commission is located in the capital, Canberra. When driving between the cities and towns of Australia, be careful not to drive for too long during the day, especially during the summer, when the high temperatures may give you fatigue. Additionally, be mindful of wildlife crossing the road. In most cities, you don’t need to worry about this, except for Canberra, which has national parks that are habitats for kangaroos. Should you go swimming at one of the many beaches around the country, take note to swim between the red and yellow flags. These designate patrolled areas. No flags mean no one is patrolling, meaning it would be dangerous to go swimming, due to the pull of the current. The tropical beaches carry the risk of crocodiles and box jellyfish, and in some cases sharks. Patrolled beaches will sound of a continuous siren and display a red and white quartered flag at the towers to indicate shark sightings. Make sure you listen and watch for this to stay out of danger. In the nature areas, make sure to carry basic first aid equipment, because you may encounter venomous snakes and spiders. An additional variety of dangerous animals can be found inland and on the coast, so make sure to check with the hotel staff and local experts to avoid encountering any of these creatures. Areas such as the Northern Territory, Queensland, South Australia and parts of Western Sydney are dominated by socially conservative views. Beware when visiting these areas, as there is no tolerance when it comes to the LGBT community. Refrain from showing any public displays of affection.